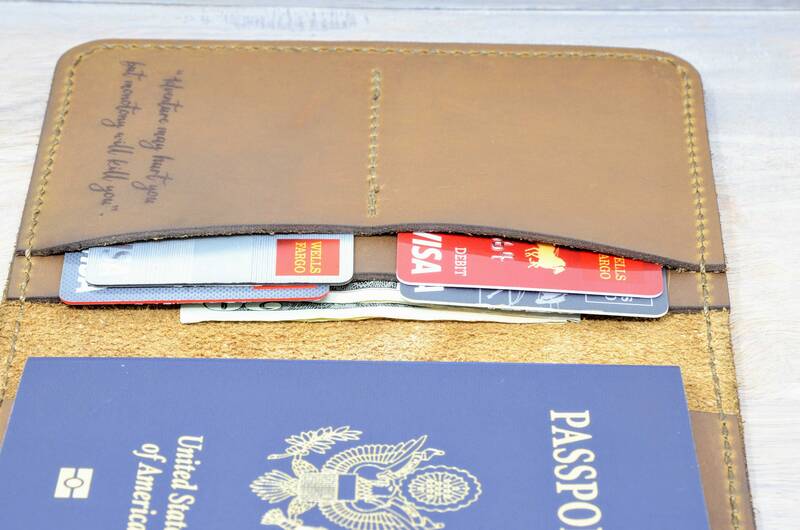 This beautiful distressed leather passport cover holder wallet is handmade from full grain cowhide leather - the very best grade that we personally hand select from local suppliers. This leather has all the natural imperfections and textures that make each belt different from the next. 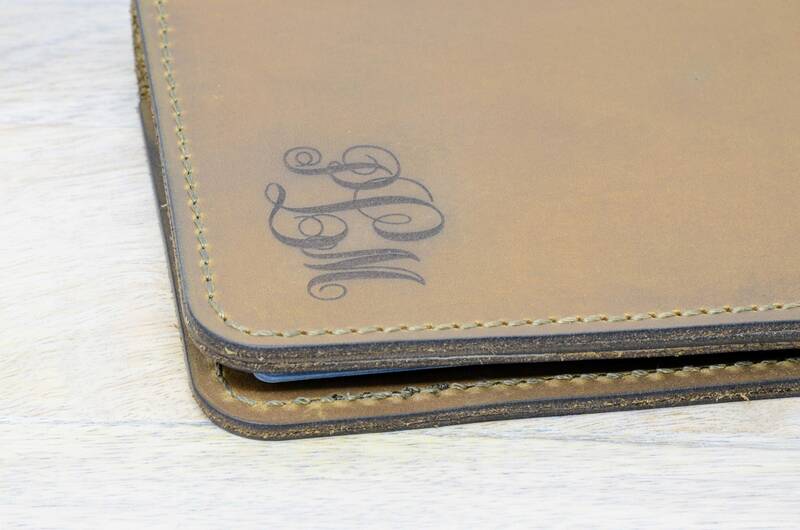 We design, hand cut and assemble this card case in our shop. 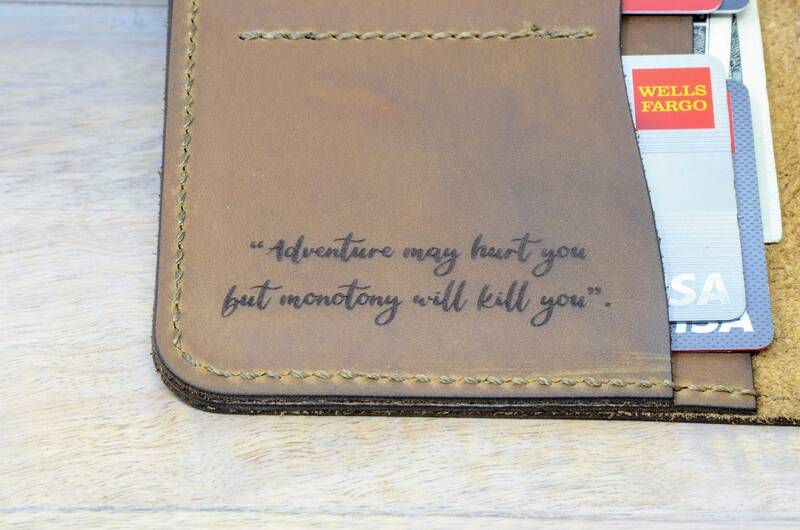 This is a beautiful minimalist wallet meant to have a long life. 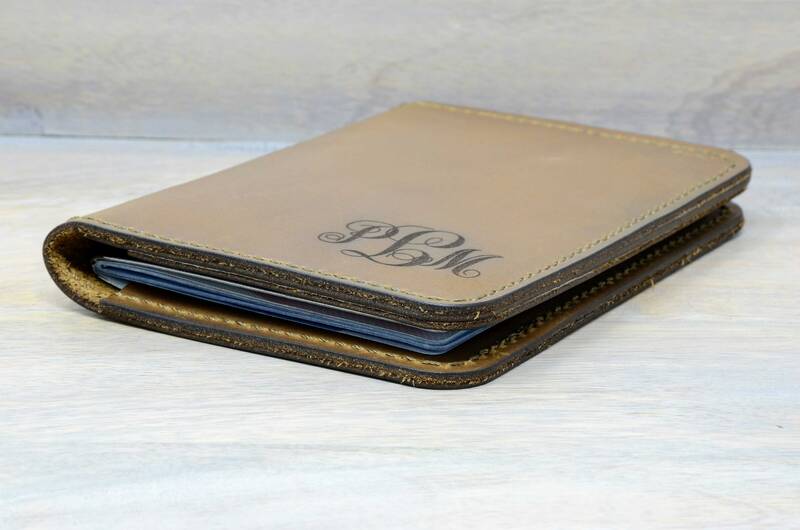 This card case can be beautifully personalized by engraving with laser your name or monogram. Great for gift giving. 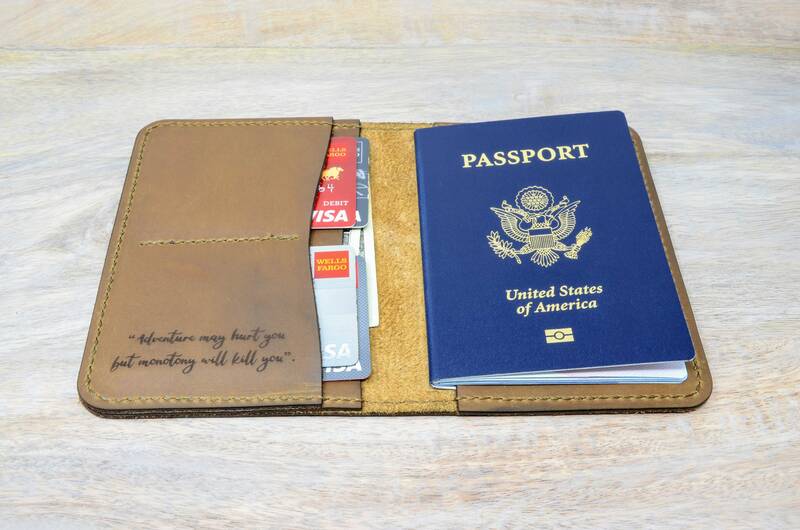 - Distressed full grain leather. 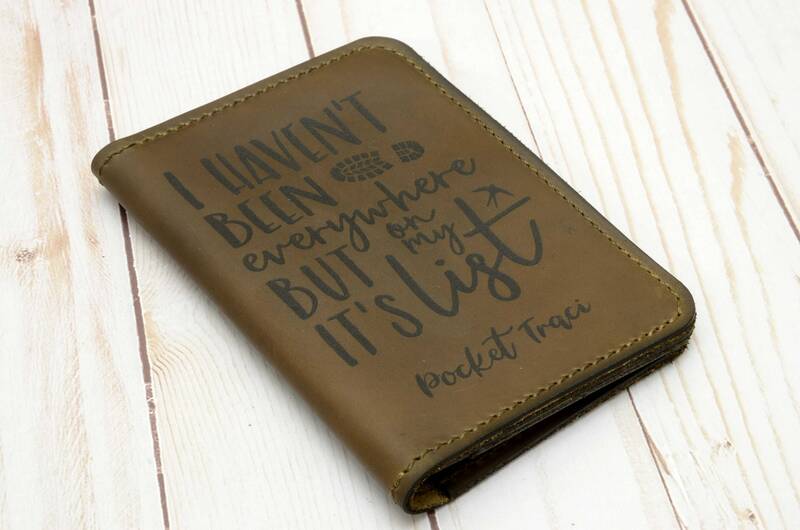 - Pockets for passport, credit cards and bills. - If you scratch the leather, the color returns by rubbing your hand or a cloth. - Handmade in Texas USA. 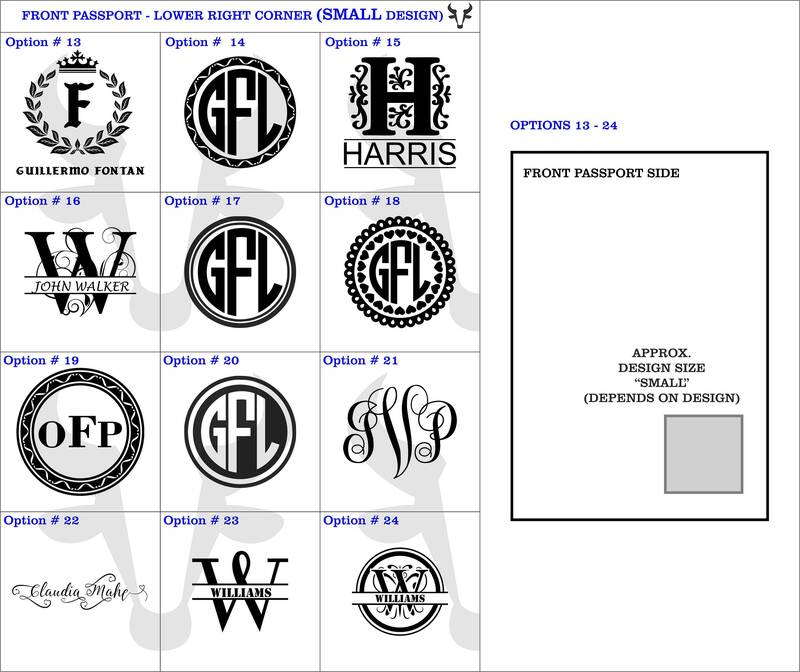 - Your INITIALS, NAME and/or INSIDE MESSAGE, depending on the personalization option you chose. 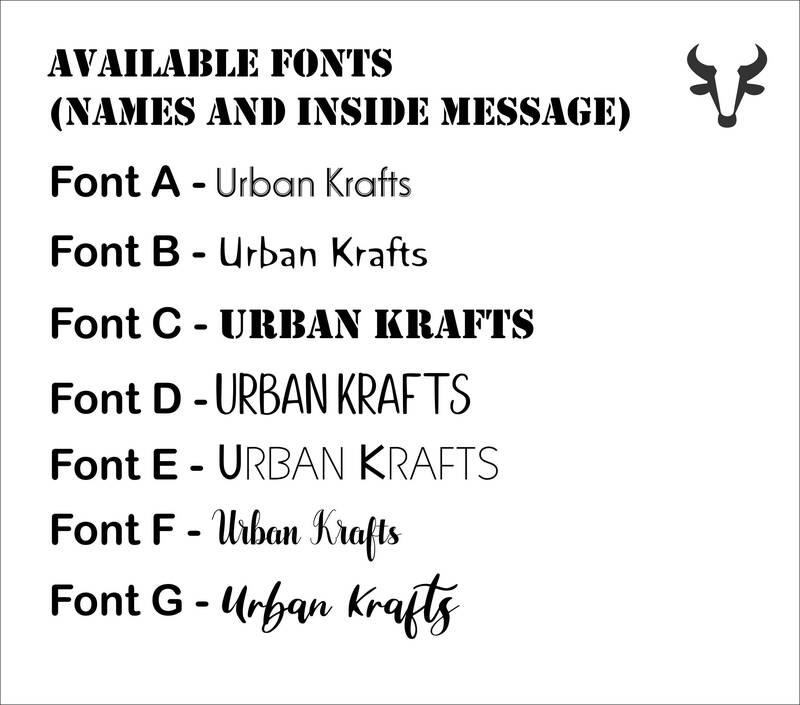 - The FONT (A-G) you would like us to use for the "Inside Message" and "Your Name" on the Quotes. 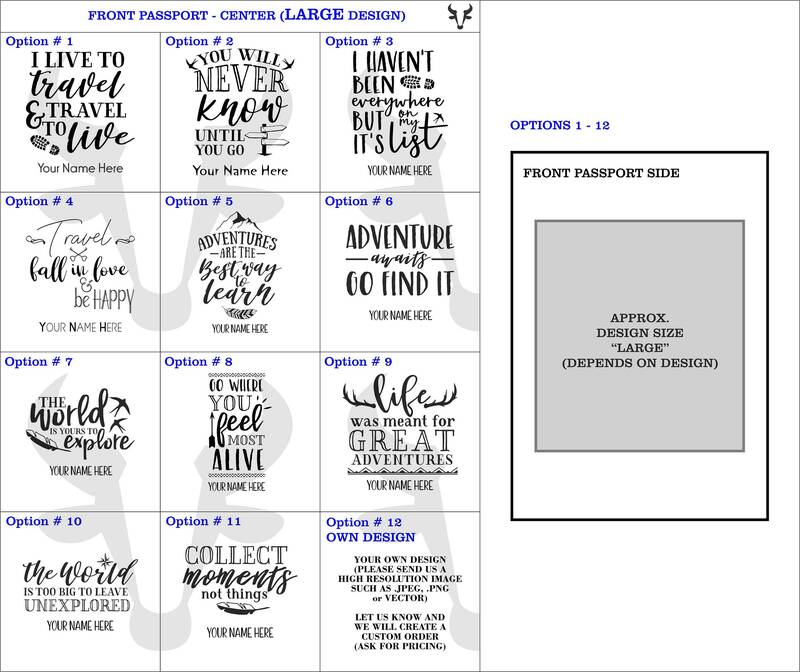 However if you don't indicate a FONT type we will use the ones shown on the pictures or designs. We typically take 2-3 business days to process these items.